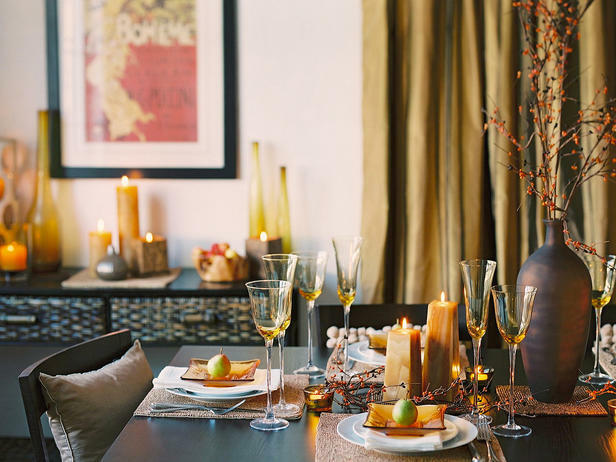 You can find similar candles in various sizes at Crate and Barrel and notice how placemats are used as candleholders, it adds a unique balance to the whole table. The glassware and appetizer plates are what really makes this table so beautifully understated and the best part is you can use them other than just Thanksgiving. I'm still on the hunt for those plates so let me know if anyone finds them. 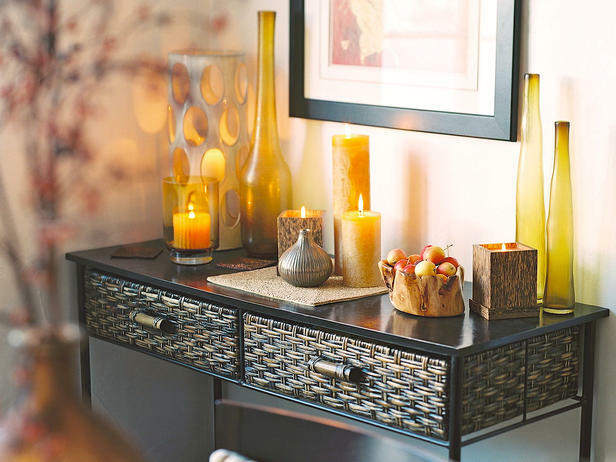 The glass vases on the buffet go perfectly with the luminescent airy look on the table. 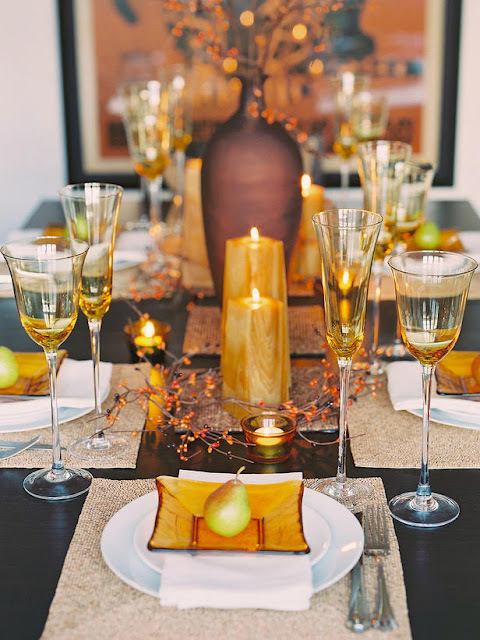 How perfect are these Recycled Spanish Glass Vases from West Elm for a similar look? 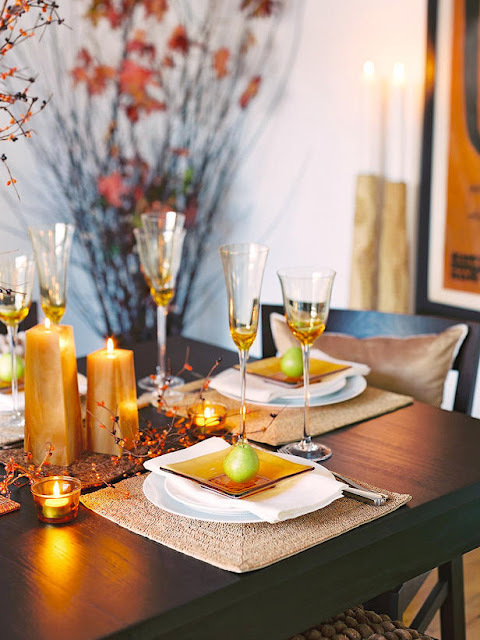 The berry branches can be found at any craft store, proving yet another reason why I love this table...it's so possible to do this for your Thanksgiving table. 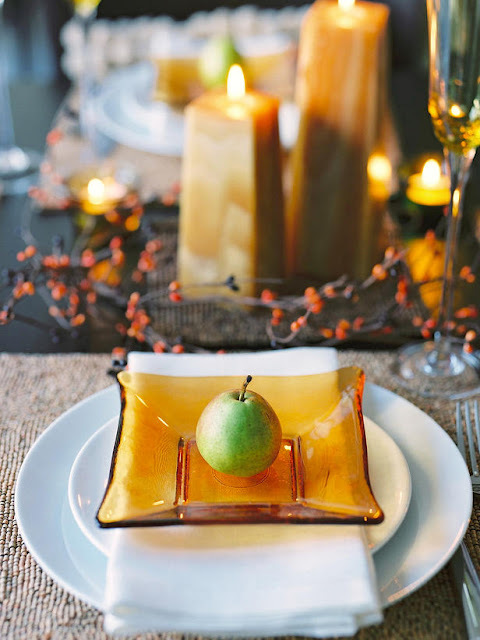 The pear adds a pop of green to the amber, gold, bronze, and brown theme. I think I would add a place card to the pear but I like that this table is less formal...the way it should be for the holidays.